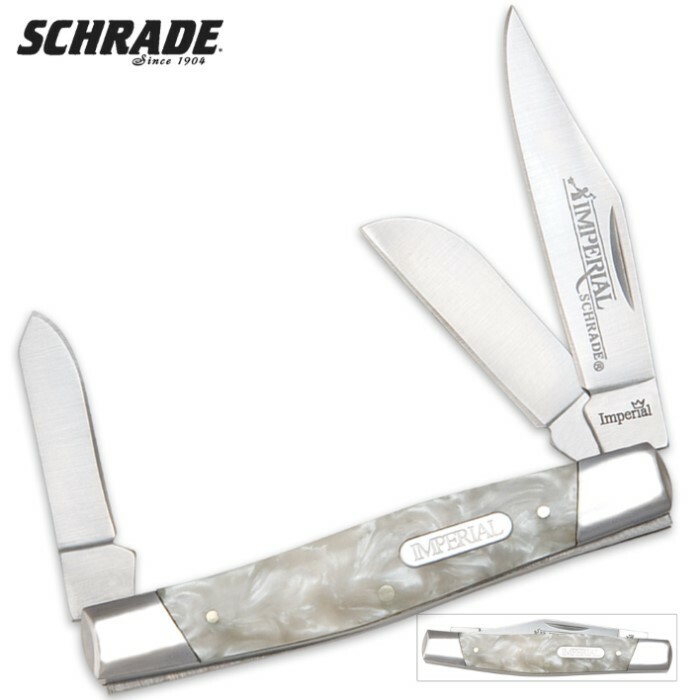 Schrade Imperial White Pearl Large Stockman Pocket Knife | BUDK.com - Knives & Swords At The Lowest Prices! 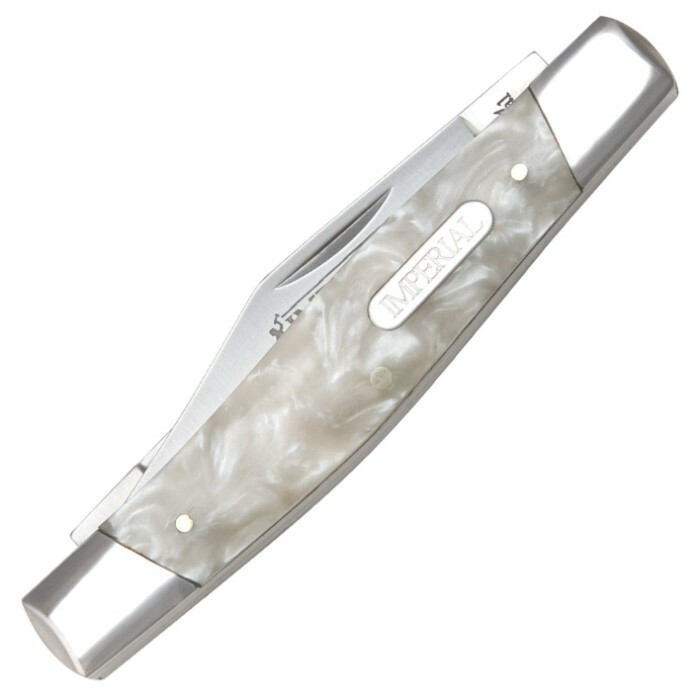 You can't go wrong with this classic Schrade Imperial White Pearl Stockman Pocket Knife. It's definitely a looker and razor sharp to boot! It features 400 series stainless steel blades and has a handsome pearl handle. Schrade's Imperial markings and accents assure you that you are getting the highest quality in a pocket knife. Excellent value for the money. These are well made, and are good all around pocket knives, I have bought several, $7.00 each if you buy three or more; they make very nice gifts. These are MEDIUM Stockman Knives. I bought 3 to use for work because I can't hold the smaller ones very well due to arthritis. They came promptly, in good shape and for the price they are excellent knives. I kept them and notified the company and they are in the process of correcting the ads. By the way, I've already sold two of them. I got my knife on one day and put it to work the next. I was very pleased with the feel and fit of the handles, they were tight and smooth. The knife did every thing I ask of it, plus more.